« Small crowds gather to view fire. Wesley Lake swan boats as seen from the OG side. Paul Goldfinger © Undated. Condominiums on the A. Park side are seen in this photo. What do they do with their dirty street water runoff? 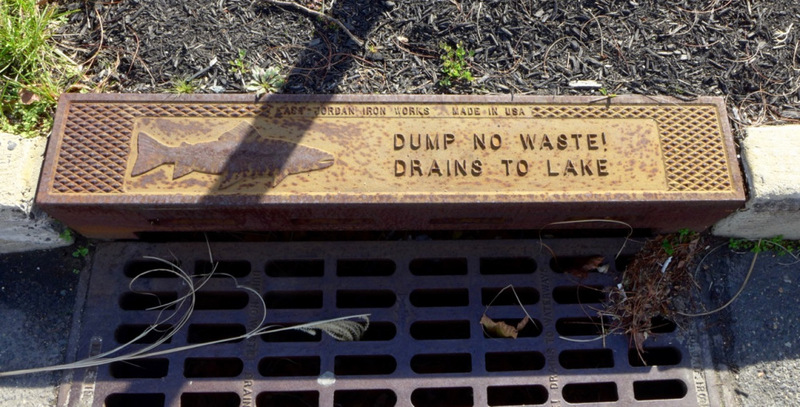 They have storm sewers, and the untreated filth goes into the Lake and ultimately into the Ocean. A storm drain on the Asbury side near the edge of Wesley Lake. Obviously they are aware of the problem. Blogfinger photo 2016. Neptune Township does nothing; they have renamed the Lake as a detention/retention basin. Working to clean the Lake doesn’t fit with their narrative which is to develop the North End without any storm water management expense. Asbury Park continues its development, having just completed a huge building that has altered the skyline when looking north from the Grove. What other dirty water runoff projects do they have planned, and how will the environment be protected as the exploitation of that part of town continues. ALEXANDRE DESPLAT. From the soundtrack of the Shape of Water.